At the 2018 Materials Genome Initiative (MGI) Principal Investigator Meeting, the National Science Foundation's (NSF) Designing Materials to Revolutionize and Engineer our Future (DMREF) program announced Interagency Collaborative Opportunities for DMREF teams to partner with MGI-related efforts outside of DMREF, including the HydroGEN Energy Materials Network. HydroGEN is looking for DMREF collaborators in innovative water splitting research that could best leverage its world-class capability nodes. Proton OnSite recently announced that it is receiving approximately $1.8 million in a cooperative agreement award to lead the U.S. Department of Energy's Advanced Water Splitting (AWS) Benchmarking Project with the HydroGEN Energy Materials Network consortium. Through this award, the project team will develop a comprehensive framework of best practices and standardized protocols for evaluating AWS hydrogen production technologies at the materials, component, device, and system levels. HydroGEN experts Tadashi Ogitsu and Brandon Wood from Lawrence Livermore National Laboratory (LLNL), with other team members from LLNL and collaborators at Rice University and San Diego State University, have discovered a new class of cheap and efficient catalyst materials to help extract hydrogen from water efficiently and cheaply. HydroGEN steering committee members Huyen Dinh and Richard Boardman will present technical session talks at the Fuel Cell Seminar and Energy Exposition in Long Beach, California, November 7-9, 2017. 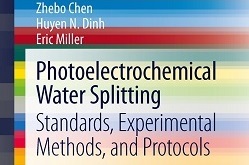 A 2013 book on photoelectrochemical (PEC) water splitting developed by the U.S. Department of Energy's PEC hydrogen production working group was one of the top 25% most downloaded eBooks in the SpringerLink eBook Collection in 2016. As of today, there have been more than 28,000 chapter downloads since the book's online publication in August 2013. The book was compiled and edited by HydroGEN steering committee members Huyen Dinh and Eric Miller, along with Zhebo Chen of Stanford University. 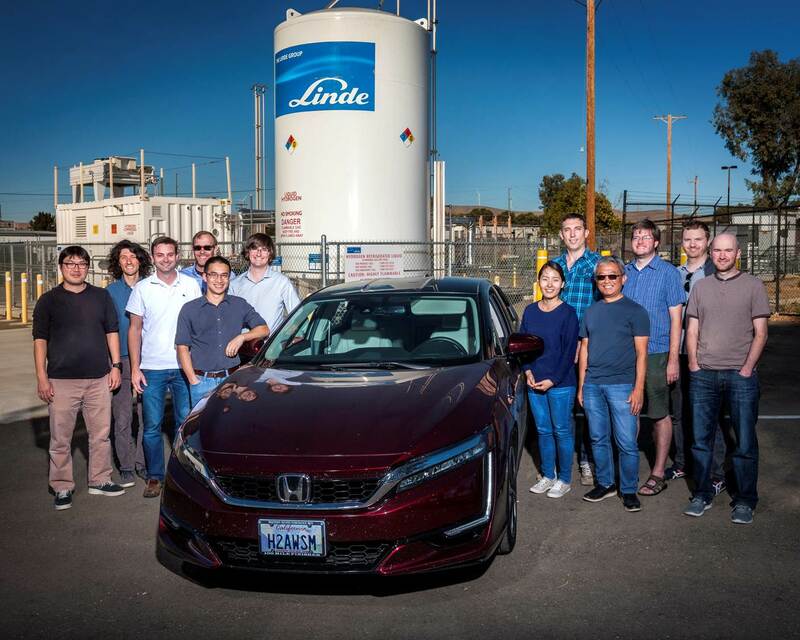 Read an article from Lawrence Berkeley National Laboratory about the lab's research on low-cost, efficient technologies for hydrogen generation as part of the HydroGEN consortium and DOE's Hydrogen at Scale initiative. 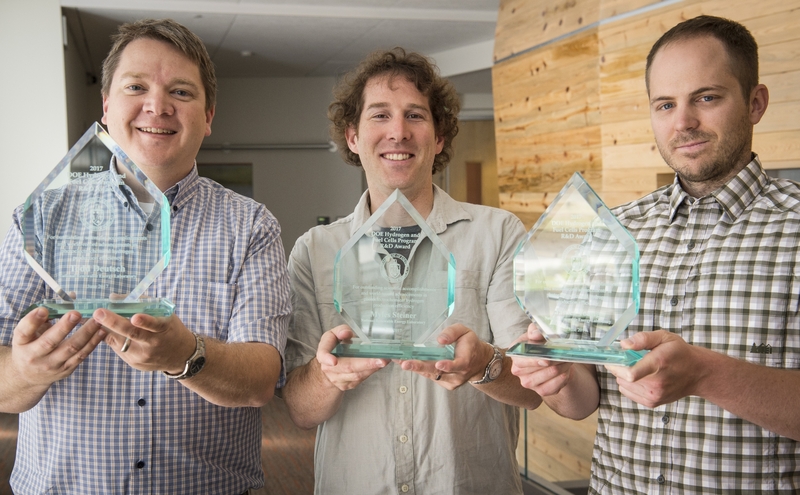 At the 2017 Annual Merit Review and Peer Evaluation Meeting, the U.S. Department of Energy (DOE) Hydrogen and Fuel Cells Program recognized the National Renewable Energy Laboratory's photoelectrochemical (PEC) research team for achievement in the area of Hydrogen Production and Delivery. On June 8 the U.S. Department of Energy (DOE) announced approximately $15.8 million for 30 new projects aimed at discovery and development of novel, low-cost materials necessary for hydrogen production and storage and for fuel cells onboard light-duty vehicles. Nineteen projects will leverage the HydroGEN Consortium to accelerate the development of advanced water-splitting materials for hydrogen production, with an initial focus on advanced electrolytic, photoelectrochemical, and solar thermochemical pathways. Hear from the HydroGEN consortium at the DOE Hydrogen and Fuel Cells Program Annual Merit Review and Peer Evaluation Meeting, June 5–9, 2017, in Washington, D.C. The Symposium on Crosscutting Metrics and Benchmarking of Transformational Low-Carbon Energy-Conversion Technologies on May 30–31, 2017, brings together materials experts and stakeholders from multiple sectors covered in the U.S. Department of Energy's Energy Materials Network (EMN) portfolio as well as leaders of other high-impact materials initiatives in clean energy applications.